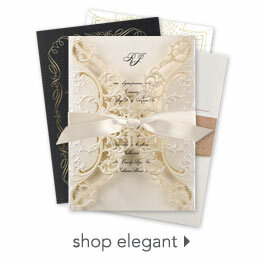 A beautiful representation of antique lace, the pattern displayed on these response cards is incredibly ornate. Background and wording are printed in your choice of colors and fonts. Envelopes are included.